Make your yard into the ultimate place to play! The Gorilla Playsets Treasure Trove Swing Set w/ Timber Shield™ and Sunbrella® Weston Ginger Canopy is a super sweet set with a Wiki Wave Slide™, Radical Ride 7' Tube Slide™ and even a rock climbing wall! 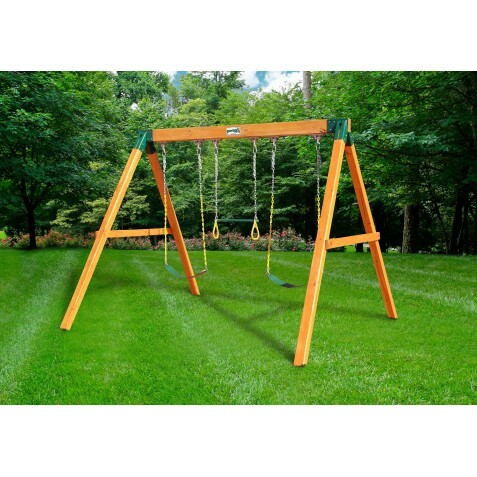 Make the yard into a fun place for the kids to run and play with the Gorilla Playsets Treasure Trove Swing Set w/ Natural Cedar and Sunbrella® Canvas Forest Green Canopy!FREE Fast Shipping! The Treasure Trove Swing Set w/ Natural Cedar and Deluxe Green Vinyl Canopy by Gorilla Playsets is an absolute playground dream!FREE Fast Shipping! Sliding fun is finally here! With the Gorilla Playsets Great Skye II Treehouse Swing Set w/ Natural Cedar kids will have the opportunity to play on THREE slides.FREE Fast Shipping! It's the adventure of a lifetime and it's right there in your own backyard! It's the mother of all play sets - the Gorilla Playsets Great Skye II Swing Set w/ Natural Cedar!FREE Fast Shipping! The Gorilla Playsets Great Skye II Swing Set w/ Natural Cedar and Sunbrella® Weston Ginger Canopy will keep the kids busy for hours on end. The Gorilla Playsets Great Skye II Swing Set w/ Timber Shield™ and Sunbrella® Weston Ginger Canopy is a great set for anyone to enjoy. Play time just got interesting with the Gorilla Playsets Great Skye II Swing Set w/ Natural Cedar and Sunbrella® Canvas Forest Green Canopy!FREE Fast Shipping! No matter what your kids are interested in, this Gorilla Playsets Great Skye II Swing Set w/ Natural Cedar and Deluxe Green Vinyl Canopy will be a hit.FREE Fast Shipping! 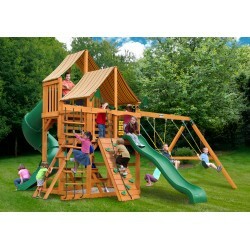 Get outside and get ready for unlimited fun with the Gorilla Playsets Great Skye I Treehouse Swing Set w/ Natural Cedar! Kids can glide down the Wiki Wave Slide™ or push their legs on the Tandem Swing.FREE Fast Shipping! Make any yard into the greatest place on earth to play with the Gorilla Playsets Great Skye I Swing Set w/ Natural Cedar!FREE Fast Shipping! Its time for super sized fun! The kids will love nothing more than jumping and playing all over the Gorilla Playsets Great Skye I Swing Set w/ Natural Cedar and Sunbrella® Weston Ginger Canopy! It's here! The most fun your kid could possibly have in a backyard is the Gorilla Playsets Great Skye I Swing Set w/ Timber Shield™ and Sunbrella® Weston Ginger Canopy! Forget about heading to the park! This play set has everything your kids will want. Turn any boring old yard into the ultimate play zone for the kids with the Gorilla Playsets Great Skye I Swing Set w/ Natural Cedar and Sunbrella Canvas Forest Green Canopy!FREE Fast Shipping! 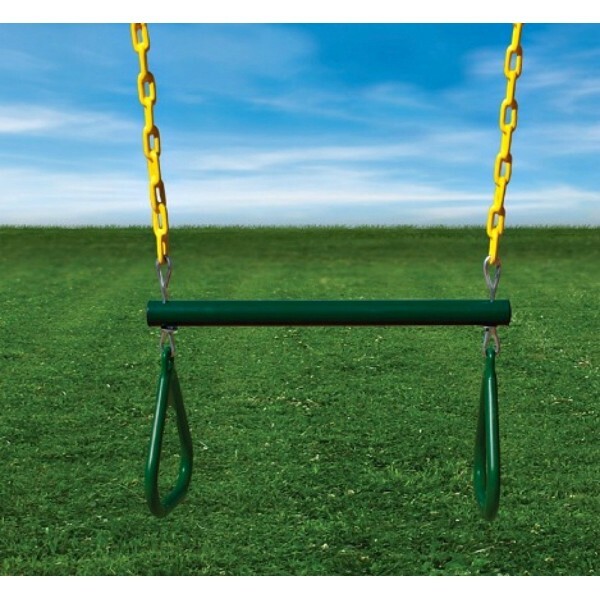 The Gorilla Playsets Great Skye I Swing Set w/ Natural Cedar and Deluxe Green Vinyl Canopy is the perfect addition for any yard.FREE Fast Shipping! Kids will want to stay outside all day with the Pioneer Peak Treehouse Swing Set w/ Fort Add-On & Natural Cedar from Gorilla Playsets in their backyard. With a Clatter Bridge and Tower, two Sand Box Areas and a Built-In Picnic Table, this set has it all.FREE Fast Shipping! Kids can’t stay still long and with the Gorilla Playsets Pioneer Peak Treehouse Swing Set w/ Natural Cedar they won’t have to! The 360° Turbo Tire Swing w/ Swivel allows kids to twist and turn in any direction.FREE Fast Shipping! 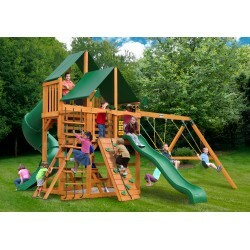 Gorilla Playsets Pioneer Peak Swing Set w/ Natural Cedar will keep the kids active for hours. 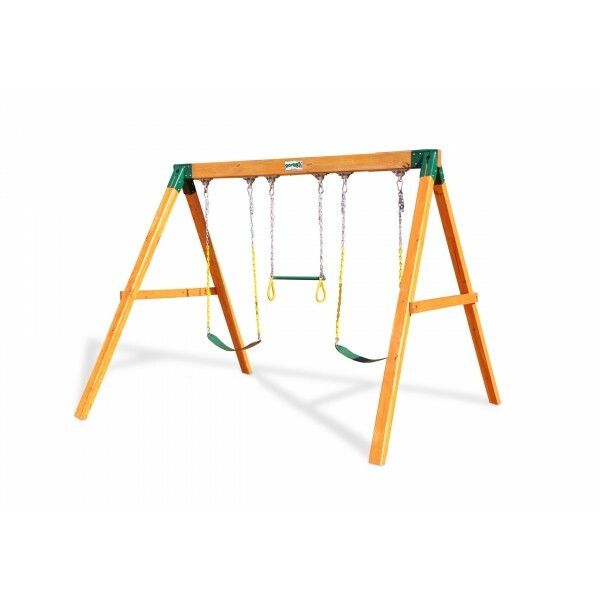 Dexterity and strength are sure to be found, whether they're climbing up the ramp or swinging gracefully on one of the two included belt swings.FREE Fast Shipping! There is time for adventure and time for exploration! The Gorilla Playsets Pioneer Peak Swing Set w/ Natural Cedar and Sunbrella® Canvas Forest Green Canopy will steer your kids in the right direction!FREE Fast Shipping! The Gorilla Playsets Pioneer Peak Swing Set w/ Natural Cedar and Deluxe Green Vinyl Canopy is a recipe for fun. The set has two upper decks to keep the kids cool in the sun and are connected by a clatter bridge.FREE Fast Shipping! Every child dreams of a playset just like Gorilla Playsets Pioneer Peak Swing Set w/ Timber Shield™ and Sunbrella® Weston Ginger Canopy! Hours of active fun await the kids with a Deluxe Rope Ladder and Deluxe Climbing Ramp! Regular exercise is a key to any healthy life. 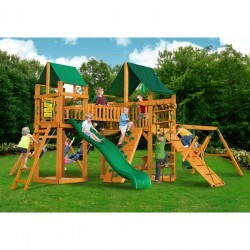 On the Mountaineer Clubhouse Treehouse Swing Set w/ Fort Add-On & Natural Cedar from Gorilla Playsets kids will be able to climb, slide, and move on all of the fun accessories.FREE Fast Shipping! It's a clubhouse, it's a swing set... it's an adventure waiting to happen! The Gorilla Playsets Mountaineer Clubhouse Treehouse Swing Set w/ Natural Cedar has a large play deck and many fun play options.FREE Fast Shipping! Do you want to get the kids out of the house? Are they glued to the television all day? Here is the solution - the amazing Gorilla Playsets Mountaineer Clubhouse Swing Set w/ Amber Posts and Sunbrella® Weston Ginger Canopy!Season Clearance, Hurry! Only While Supplies Last!FREE Fast Shipping! Do you want to get the kids out of the house? Are they glued to the television all day? Here is the solution - the amazing Gorilla Playsets Mountaineer Clubhouse Swing Set w/ Amber Posts and Sunbrella® Weston Ginger Canopy! The Gorilla Playsets Mountaineer Clubhouse Swing Set w/ Natural Cedar and Sunbrella® Canvas Forest Green Canopy will give your kids hours of fun right in your backyard.FREE Fast Shipping! 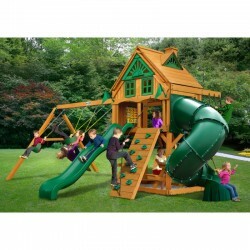 Every day outside can be a huge blast when the Gorilla Playsets Mountaineer Clubhouse Swing Set w/ Natural Cedar and Deluxe Green Vinyl Canopy is sitting in your yard!FREE Fast Shipping! 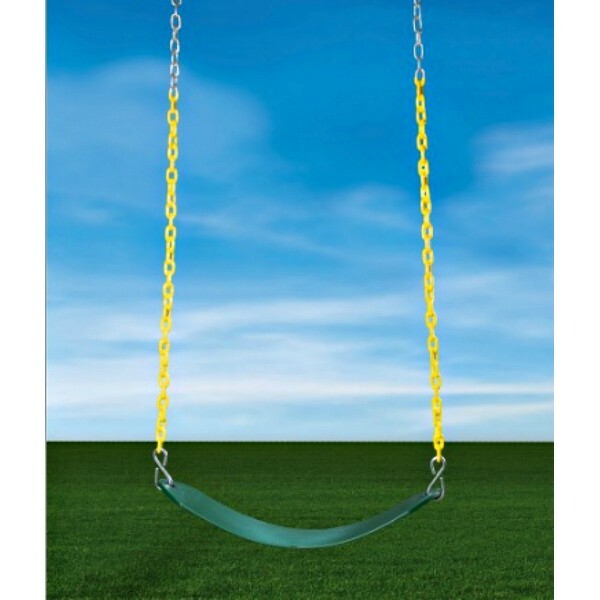 Your kids’ creativity will be apparent on this swing set. 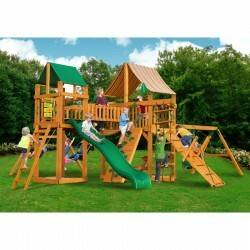 The Mountaineer Treehouse Swing Set w/ Fort Add-On & Natural Cedar has all the accessories kids want.FREE Fast Shipping! 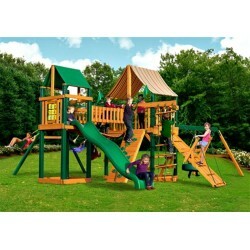 Watch kids sprint out the door and onto their Gorilla Playsets Mountaineer Treehouse Swing Set w/ Natural Cedar! The Deluxe Rope Ladder, Extreme Tube Slide™ and Play Telescope are just a few of the fun accessories this swing set has.FREE Fast Shipping!